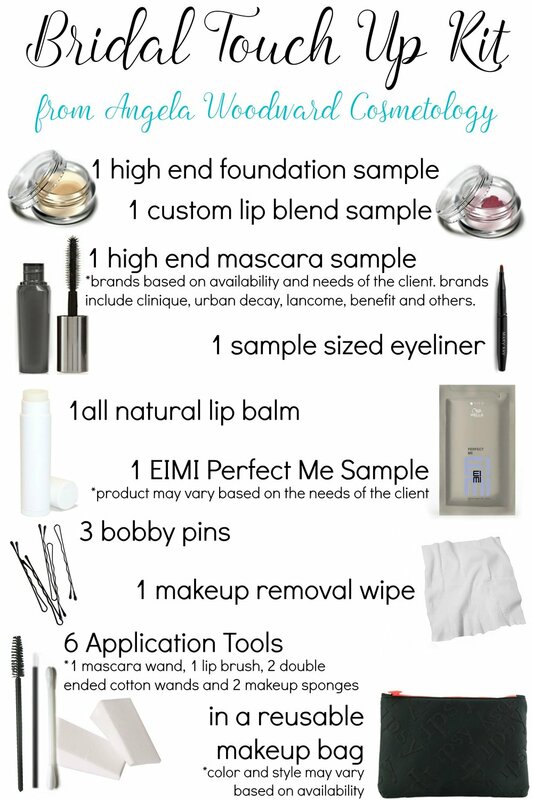 *all the brands used in this touch up kit are professional brands that are found in Angela's kit. Foundation may include Temptu, Makeup Forever, RMCA, Kevin Aucoin and others. Lipstick brands include Temptu, Urban Decay, Anastasia Beverly Hills, Laura Geller, It Cosmetics, Bare Minerals and more. Each foudnation and lipstick blend will be the actual shades and mixture and formulas Angela uses during application.